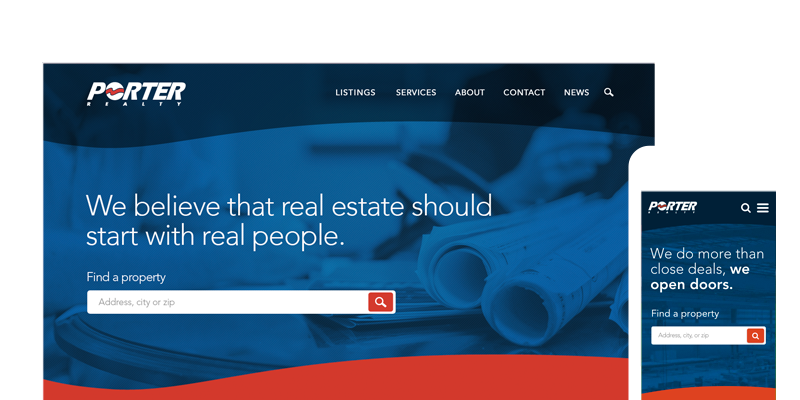 Founded by Robert E. Porter, Sr. in 1965, the Porter Realty began as a one-man business specializing in sales and leasing of industrial land and warehouses. Over the past 50 years, the company has grown to handle major industrial facilities and commercial properties while maintaining the core values of a family-owned firm. Porter was celebrating 50 years in business and wanted their website to have a fresh look. In addition to creating a modern design aesthetic, we integrated custom features to make the company’s property listings easier to manage. We built a custom application to sync listing data with third party software and integrated the data with Google’s Map API. We then created features to allow users to search and filter property listings based on their needs. The site was also built for optimal viewing on desktop, tablets, and handheld devices.